Welcome to the first ever blog for our new website here at Dornoch Holiday Park. Set within breathtaking surroundings of the east coast of Scotland and with views out over the Dornoch Firth, we pride ourselves here at Pitgrudy, in having a tranquil and relaxed setting to enjoy your holiday in. We offer the highest standard of accommodation in an extensive range of static caravans, chalets and lodges all for very good rates – for details and prices please call 01862 810 111 or email us at pitgrudyholidaypark@gmail.com (or use our contact form at the bottom of the page)…. We also have a fabulous range of ABI homes for sale and will have more in come spring 2016, starting from as low as £24,999 which includes a full decking area, driveway and landscaped grounds. Why not treat yourself and own your very own home here on our 12 month park to enjoy every season in. We deal with the highest reputable manufacturers including ABI UK and Pemberton Leisure Homes Please take a look at our homes for sale page…..
Dornoch itself is a perfect destination to holiday to with its picture perfect streets and historic buildings including the stunning Dornoch Cathedral and the historic Dornoch Jail, both beautifully maintained. Not to forget the award winning golden sand beaches of Dornoch stretching for miles right round the coast past Embo, with the possibility to see wildlife such as seals and dolphins. For the golfers, Dornoch is home to the world famous Royal Dornoch Golf Course which is ranked No 5 in the world. Dornoch has exciting times ahead this year as we celebrate 400 years of golf, bringing with it an abundance of activities and celebrations which will attract a mass of visitors. 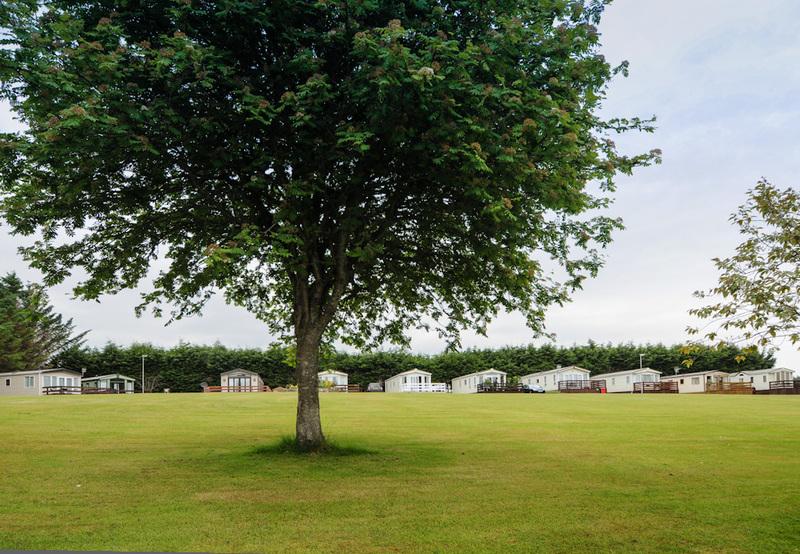 If you are coming to Dornoch this year and are looking for a peaceful and beautiful base with stunning views then look no further than Dornoch Holiday Park (Pitgrudy). Thank you for viewing our new website and hope to see you throughout 2016.